His eminence with Al Thani discussed bilateral relations between Iraq and Qatar, and called to spare the region the effects of existing conflicts. 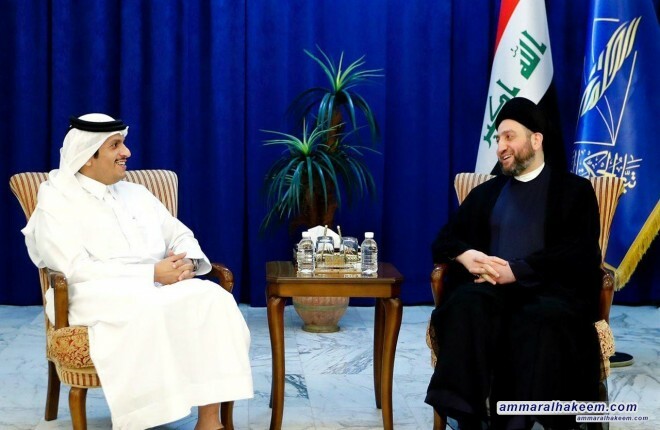 His eminence stressed the importance of maintaining the relations between Iraq and Qatar and the two brotherly peoples, and reviewed with Al Thani developments of the political situation in Iraq, regionally and internationally, and called on to work for regional cooperation and integration seeking the benefit and well-being of region's peoples. His eminence pointed out that Iraq exited the security challenges and sectarianism phase, noting that "Iraq" is moving towards addressing the problems of development and services, which are the main priorities in the next phase.